State Employee Recognition Week began May 4th and runs through Saturday, May 10th. 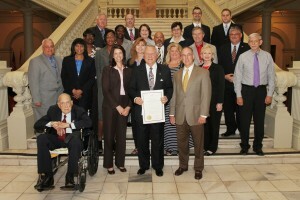 State Employee Recognition Day is Wednesday, May 7th. This week is a time set-aside to honor the thousands of dedicated individuals who make up the State’s workforce, who make a difference in the well-being of nearly 10 million Georgians, every day. Agencies across the state are planning activities to show appreciation to their employees for their contributions to public service and to recognize the achievements of state employees in the workplace and in our communities. 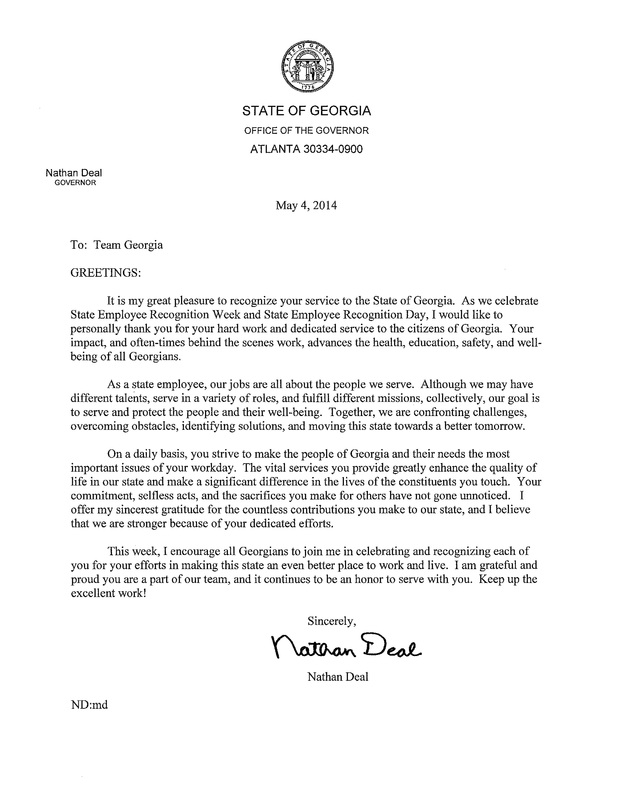 Please take a moment to read Governor Nathan Deal’s letter recognizing and thanking you for your efforts, and here’s the 2014 State Employee Recognition Week Proclamation. The Georgia Department of Administrative Services has provided this Guide for state agencies looking to make the most of State Employee Recognition Week. Take a look and see what you can do at your office to mark the occasion!